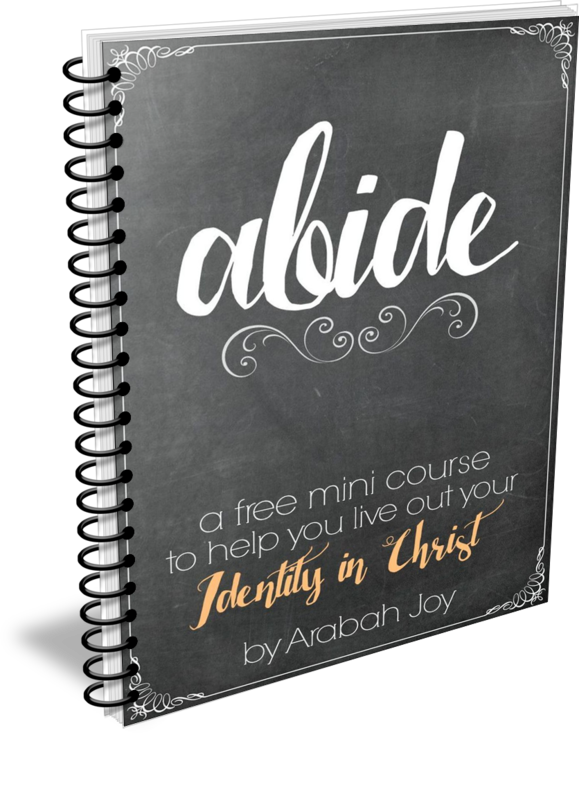 Have you considered Bible journaling, but don’t know where to start? 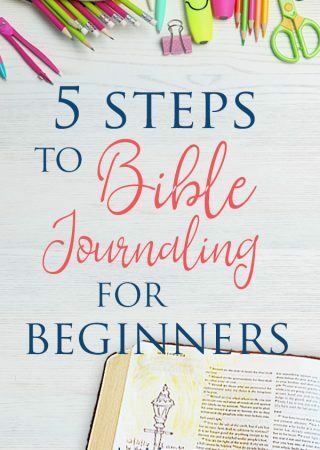 We’re jumping in to a new series on Bible journaling and today we’re sharing 5 Steps to Bible journaling for beginners. 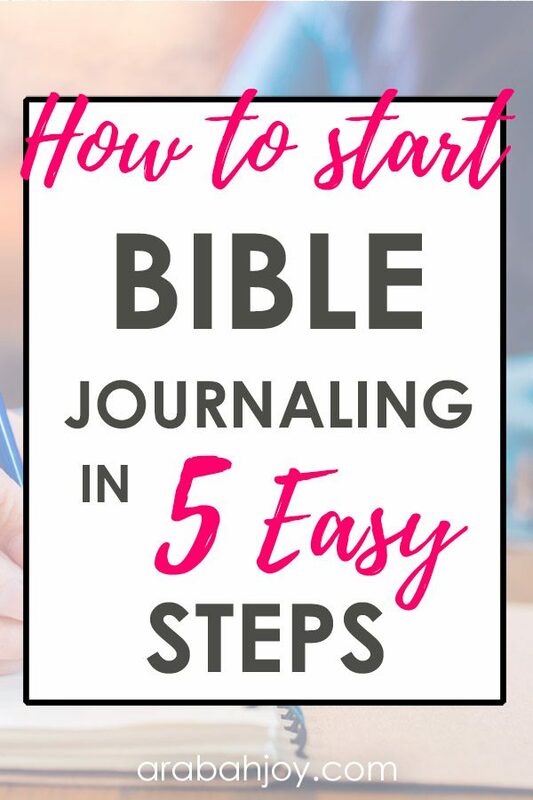 If you’re a Bible journaling expert, this post is probably not for you. 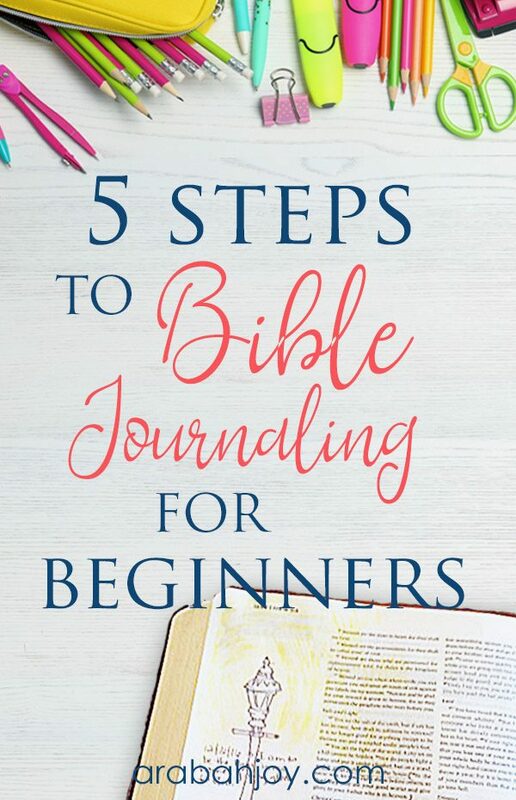 But if you’re relatively new to the idea of Bible journaling, or find yourself being intimidated by images of intricate, professional-looking art in fancy Bible journals, you might want to keep reading! Not all of us are good at scrapbooking, crafting or art in general. If you’re like me, you might admire those who can create beautiful expressions of Scripture in the cracks and crevices of their Bible margins – but would much rather geek out over the Hebrew and Greek origins of words or follow rabbit trails of cross-references. So, fellow non-artist, before you write off Bible journaling altogether (see what I did there), I wanted to make sure you were aware that there is a whole world of Bible journaling that doesn’t necessarily involve gel pens and stencils (but stick around, because you may still want to give those a try…), and to leave you with 5 tips to help you get started on your Bible journaling journey. When it comes to determining your Bible journaling style, think outside the box! If you consider yourself a non-creative, your journaling style is going to look vastly different from someone who finds connection with God through art. So what is your Bible journaling style? If you’ve never done it before, you might not know. I’d suggest taking a couple of minutes to prayerfully consider it. You could even set a timer for two minutes and just ask God the question: What kind of journaling or Bible study draws me closer to you? Do you enjoy writing out Scripture by hand to slow your brain down as you meditate on God’s Word? You might enjoy hand copying Scripture. Does it make your heart leap with excitement to discover the meanings of words and phrases in their original Hebrew and Greek? You could supplement your Bible journaling with a Greek/Hebrew lexicon. Do you enjoy following the cross-references found in your footnotes to see where they lead? A cross-reference journal might be for you. It’s possible you absolutely can’t stand writing by hand, or have physical limitations that make longhand painful or difficult. You may find typing faster, more stimulating or more comfortable. Go for it! Another idea is to create digital Bible journaling pages with prompts ahead of time to use for each day’s verses, or leave space for cross-references or typing out definitions of words and deconstructing verses. Or simply open a new document, type out a verse and journal about it and save with that day’s date. And maybe…just maybe, you think you aren’t an artist, but find yourself doodling in the corners of papers when your hands are idle, or wishing you were better at art. Maybe you really could give artistic Bible journaling a try…I’m planning to give it a go myself! If you decide to go the non-digital route, you’ll need to choose the type of journal that suits your style. If you’re prone to writer’s block, choose something with prompts. If you like stream-of-consciousness note taking, you can get one of the Bible journals with wide margins for drawing or notes. 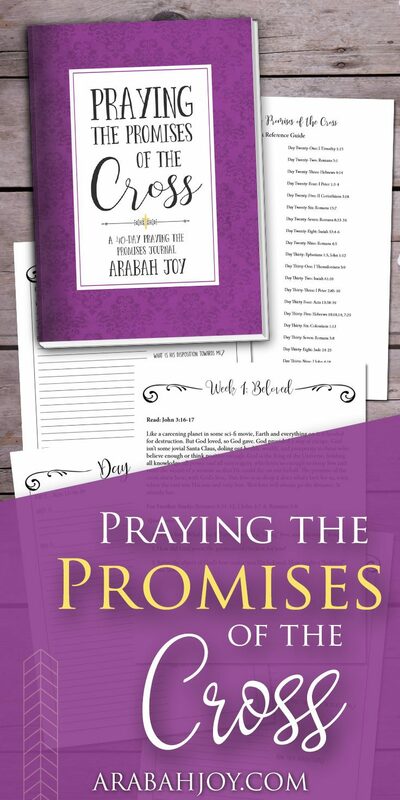 If you like writing letters to God or prayers, you might want to get a journal separate from your Bible that is completely blank for you to write out your verses and everything that comes after. Think about binding too. Personally, I love soft bound or spiral journals. I am not a fan of hardcover or stiff-bound books. Don’t be afraid to try a few before you settle on a style you love. Some Bible journals can be pretty pricey, so maybe start with simple and work your way up to the fancier journals once you know what you like and what you don’t! The worst thing you can do is put off journaling! 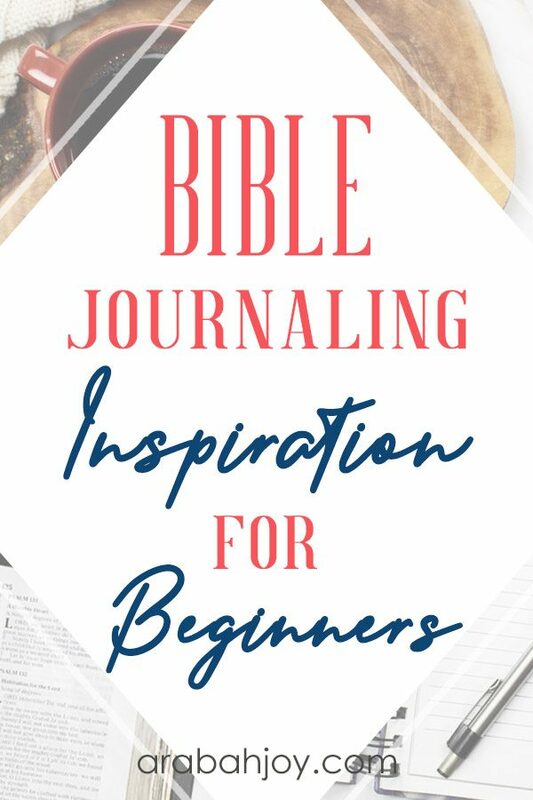 If you have an interest in Bible journaling, start now! Don’t wait until you’ve determined your style or chosen the “perfect” journal. Because chances are, by the time all of that happens, your momentum will be lost. 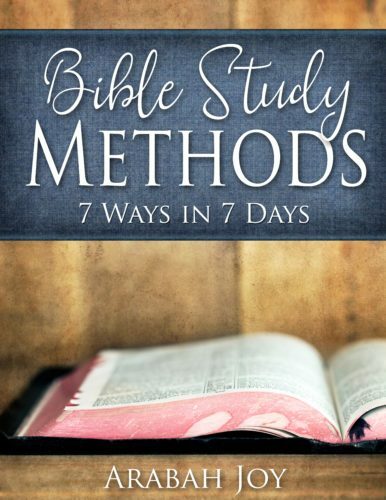 Find a temporary notebook, Bible or even just paper lying around and get started until you get your supplies together. Starting immediately without a formal long-term journal may also relieve some of the pressure that comes with breaking in a brand new journal (see Tip 4!). When I start a new journal, the first page looks way different from the last page! At first, my handwriting is at its best, my margins nice and clear and my grammar impeccable. But somewhere along the line I make a mistake and cross or scribble it out, and from that point on the visual quality goes steadily downhill. It can be intimidating to begin writing in a brand new journal. Don’t let perfectionism keep you from connecting with God through your Bible journal. Remember that this journal is for you, nobody else. Despite what some of the Pinterest images might subconsciously communicate, Bible journaling is an expression of your worship and relationship with God, not a piece of art. If you attempt to draw a flower in your margin and it ends up looking like The Blob, or if you copy a page of verses and all but one are riddled with errors and do-overs — good for you for trying! Consider it an imperfect offering of love to a perfectly loving, grace-filled God who will receive it with the same joy as a parent would receive a young child’s first scribble drawing. Keep at it, for as long as it is enjoyable for you and brings you closer to God and helps you meditate on His word. It probably goes without saying, but I’m going to say it: remember what (and Whom!) this Bible journal is all about. It’s a means, not the end. 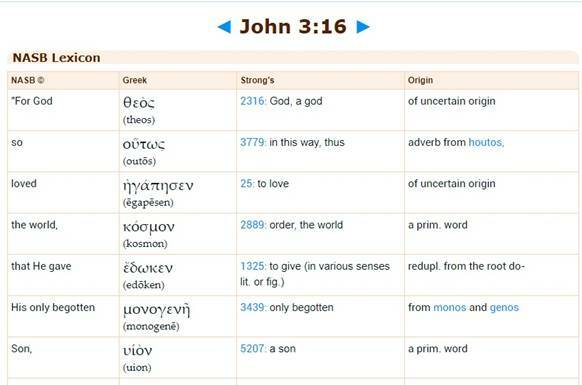 It’s a finite tool to help you ruminate on the words of a holy, infinite God. It’s supposed to be enjoyable and God-glorifying, and if at any point it becomes a stumbling block rather than a wide open path to Him, don’t be afraid to change things up! So what about you? Are you a non-artist Bible journaler or prayer journaler, or do you love drawing and creating? We would love to hear in the comments what helps you meditate on God’s Word and grow closer to Him through journaling! 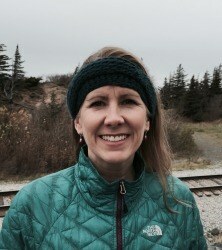 Jaime lives in Southcentral Alaska with her husband, three children and two lizards. She is an award-winning Christian author, blogger, and co-host of the Praying Christian Women podcast. You’ll often find her camping with family and friends during the fleeting Alaskan summer, while winters are spent as a full-time hockey mom of three. 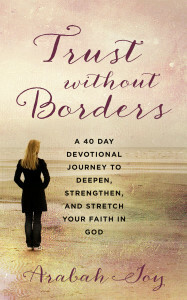 You can connect with Jaime at www.prayingchristianwomen.com.